Located at 17 Harbor Road in beautiful North Shores along Coastal Living top rated US beaches and one of the Best Beaches in the World! This home, named the Sea Glass, is located in a Private Beach Community with a dock and your very own salt water inground pool which is partially shaded in the afternoon. Come enjoy all this house has to offer! Located on a large secluded landscaped lot flanked by towering pines and water vistas...The Sea Glass provides a spacious courtyard, landscaped lawn & sunny decks. An in-ground pool 13 x 27 and a large sunning and fishing dock on the canal. Scenic native coastal habitat is preserved along the canal/dock boundary and is abundant in crabs, mussels and fowl. Sea Glass was designed for comfortable, coastal living with extensive outside living areas for everyone’s solar needs. The Sea Glass will accommodate several families, with large gathering areas and small nooks for rainy day reading. The TV/Den Media room has wall to wall seating, perfect for Movie Night! Premium Verded Butterfly Granite Counters in Hardwood Kitchen with large island. Modern appliances, coffee grinder and other extras. There is Reclaimed White Washed Hand Finished Oak Floors in the Great Room. There is also Stereo throughout the house and the decks. The Sea Glass boasts 6 bedrooms (including the bunk room) and a large loft (1 queen sofa bed ) with multimedia area and 5.5 baths. The Main master bedroom features a private deck with large bath and dressing room. The North Quarters - King Couples retreat with Stone tile bath and authentic Sea Glass shower and walk-in closet. The third most private retreat features a ship’s rope hanging bed (queen). The entire lower level Cabana Room features a Sea Glass themed Bar, pool table, a daybed and Queen bedroom with a unique walk in shower. Grab your beverage and walk out to the pool or the dock! The 26 x 15 ft screened porch with a “2 Million Dollar View” & lazy overhead fan is easily the BEST room in the house. The large screened room with wet bar is comfortably furnished with cozy rockers, sofa and seating options for many guests. The screened porch overlooks the canal, dock and native wetlands & waterways. We offer Kayaks and Paddle Boards for you and your family. With your very own private dock, you can kayak and paddle board right off the dock and into the quiet waters of the Canal and North Shores Yacht Basin. There are also crab pots for catching your own Blue Crabs within a few feet of the wonderful screened “second living room”. It’s a 3 minute (1200 ft) walk to the private beach club and ocean. The North Shores Beach is the Gem of Rehoboth. Our beach is very private and relaxing. Note: there are NO crowds on our beach! As a guest, you will have chairs and an umbrella waiting for you on the private uncrowded historic beach (additional items are easily arranged with the Life Guards), just south of the WWII Towers of Henlopen State Park. There are also extra beach chairs if you need more. There is parking by permit adjacent to the Tennis & Basketball Courts, and the community pool. Our Life Guards will also provide transport to the beach for any handicap guests unable to navigate the walk to the beach. Town is just a short walk south along the naturalized dunes. Enjoy the breathtaking biking trails along the wetlands of Gordon’s Pond State Park. Bike to the historic Cape Henlopen and climb in the WWII towers! You can also cruise into Lewes by bike. You will have the use of the private clubhouse, beach, tennis courts, your very own private pool, kayaks and many more features. Kitchen and laundry supplies will be provided so you don’t have to bring an entire house. Our linen supplier offers a huge discount for their services…so you have less to pack and worry about. Grab your friends and family and come enjoy this one of a kind seaside retreat! Beautifully furnished with fantastic views from the living room and dining area. Located on the 5th floor in the 21 Ocean Drive building the North Shores area. Two bedrooms and two full baths split level, TV's in each room, unit has WIFI. 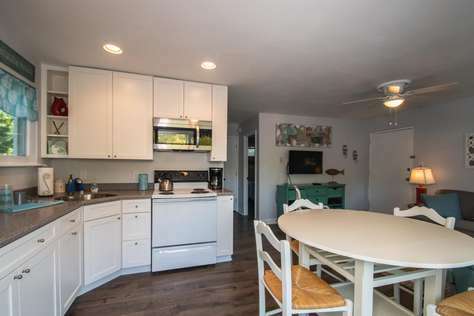 Private beach, community pool and tennis (tennis is available by the hour) approximately 1 mile from Rehoboth Boardwalk. Bike ride to the Cape Henlopen State park. NORTH SHORES REGULATIONS PROHIBIT GROUP RENTALS WHICH ARE DEFINED AS 3 UNRELATED PEOPLE RENTING A PROPERTY. Beautiful condo with full ocean views! Located in the North Shores area, this condo sleeps up to 6. Enjoy your stay at the beach from this amazing space. Recently redone, this condo has it all! Beautifully furnished with fantastic views from the living room and dining area. Two bedrooms and two full baths. 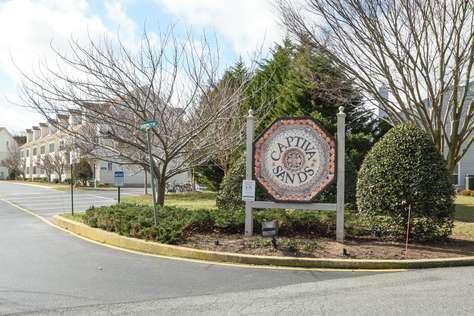 Private beach, community pool and tennis & is approximately 1 mile from our Rehoboth Boardwalk. This beautiful unit is available for full month rentals during the winter season. Please call for details. 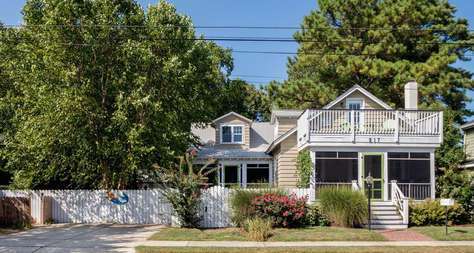 Beloved beach cottage, over looks Silver Lake in S. Rehoboth. 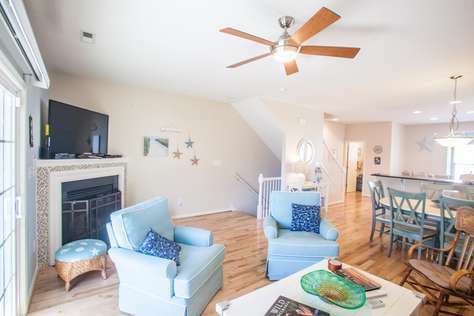 Just 2 1/2 blocks from beach & boardwalk, this 1930's beach cottage features 2 screened-in porches, 2 porch swings, a huge backyard patio w/ fire pit for entertaining. Our home has 6 large bdrms, 5 full bathrooms, and 2 outdoor showers. We have a gourmet kitchen, dining room, living rm w/ fireplace, full library, television, lots of games & videos. Washer/dryer. Central HVAC. Internet. Fenced-in yard. Dogs welcome for a fee! Free weights and bench in basement. All bedrooms richly decorated. Each bed features a down comforter* - 1st floor Huge Master: queen bed, private designer bath w/ shower and claw foot bath, walk-in closet, private screened-in porch w/ bench swing. - 1st floor Guest #1: queen bed, sliding door to private designer bath, shower. - 1st floor Guest #2: queen bed, lots of light, hall bath/shower. - 2nd floor Guest #3: trundle bed, TV, large deck overlooking Sliver Lake, hall bath w/ shower. - 2nd floor Bunk room #1: double bunk bed and long twin sleeping bunk, shares hall bath. - 2nd floor Bunk room #2: double bunk bed and built-in twin bed w/ private designer bath w/ shower. * Duvet down comforters and blankets are provided. Sheets, pillow cases are NOT provided. Stunning 4 bedroom 3.5 bath home with amazing upgrades, designer furniture & decor. The open floor plan is perfect for entertaining & features a formal dining room, great room, and eat in kitchen with stainless appliances & granite counters. Enjoy outdoor living on screened porch & patio with water feature & fire pit in the private fenced back yard. The first floor master suite has tray ceilings, bay window, exquisite light fixtures, walk in closet & luxury bath with tile shower. The second level has a large family room with a pool table, three more bedrooms, two baths, and a covered porch. Enjoy the ping pong table in the garage for more entertainment! Walk to shops, restaurants, and the beach from this great location. Only 8 blocks to the ocean! Plenty of Parking, 2 car garage, driveway for 2 more cars and parking on the street. Enjoy the outdoor shower after those sandy beach days. Come live at the Beach for the Summer! Great Beachy 2BR condo with an open living area and balcony. Just recently updated! Kitchen offers both character and charm. 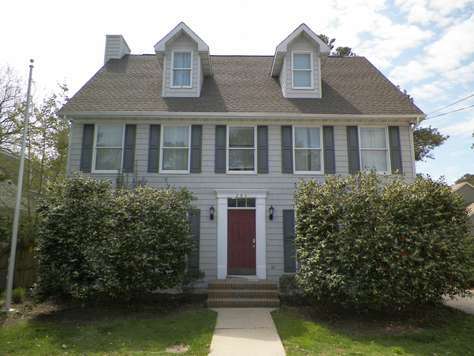 Just 1 block from Rehoboth Ave and within walking distance to restaurants and the Boardwalk! Unit is located on the third floor, balcony with view of Sussex street. 1 car parking space. Come and enjoy Rehoboth beach at a great location and a great rate. Two bedroom, two bath condo just over one mile from the beach! Nicely furnished condo on second floor. Great location and great price! You have use of 3 different pools and tennis courts. One of the pools has adult swim hours. Property also has community outdoor shower and charcoal grilling/picnic area. Quick ride to beach, boardwalk and outlet shopping. 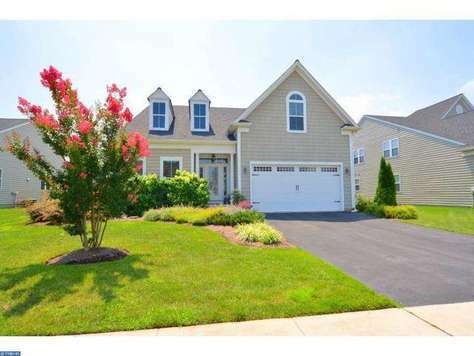 Grande At Canal Pointe 19474 Bridgewater Dr.
Beautiful 4 BR, 2 BA single family home. Upgrades throughout the home including granite countertops, stainless steel appliances, hardwood floors. 1st floor offers 3 bedrooms including the masterbedroom, kitchen with eating area, family room and a large back screened in porch area. 2nd floor has large area with 2 Single beds, sofa pullout. Tell the kids not to forget those games this room can be all theirs with Xbox and Wii already setup for them to play. Community is complete with a fitness center, 2 pools, playground, tennis courts, basketball courts and a its one quarter mile to 2 bike trails; 1.5 miles to beach. 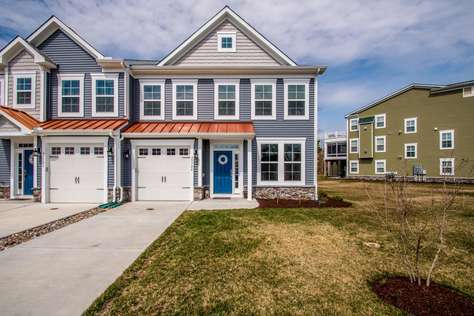 Beautiful, new construction 4 bedroom town home with grill! Four bedroom located in beautiful community of Grande at Canal Pointe. First floor with dining area, granite/stainless kitchen, large living room and sun room dining. Master suite with king bedroom and Laundry. Second floor with bedroom with two twins, hallway full bath, large loft area and additional master suite with queen. Fully finished basement with large gathering area, full bathroom and bedroom with queen. Property includes pack n play and a stroller for the little ones. This community has two pools that are walking distance from the town home as well as a tot lot, tennis courts, basketball court and fitness/weight room. No Smoking. The property is 1.7 miles away from the boardwalk and that you do not have to cross coastal highway, therefore minimizing traffic. It is also on breakwater junction trail, great for families to run/walk, bike, or scoot. Since it is only 1.7 miles from the beach, many bike to the beach. 3 night min. off season. There will be a $100 cleaning fee added to any rental less then 7days. We do not provide linens or towels. 1.5 blocks to the beach. 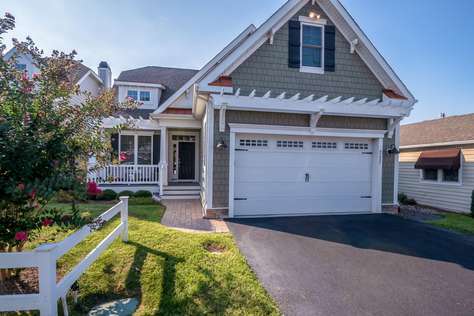 Park your car and walk everywhere in town from this classic home in Rehoboth Beach. 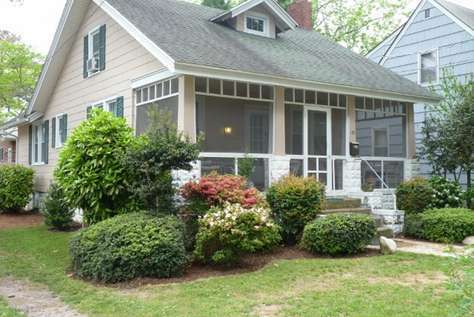 Located in South Rehoboth on Norfolk Street, This 4 bdrm, 2 bath home has the rehoboth charm! Dog friendlyTwo first floor bedrooms and two second floor bedrooms. Both bathrooms newly renovated. (please note, upstairs shower has slated ceiling) more for baths or kids. Fully stocked kitchen. Backyard area with picnic area , grill and outdoor shower. Yearly tenant lives in back cottage. *Please note there will be a $300 fee for brining a pet. Rehoboth Crossing 37073 Turnstone Cir. Come and enjoy your vacation in this beautiful townhouse with all the bedrooms freshly painted over the winter in beach colors. New furniture, chairs, and memory foam mattresses on all beds. Beautiful cottage ceiling in one of the bedrooms. Every bedroom has it own large full bathroom for privacy, and huge ceiling fans so you can stay cool at night. The living area is located on the second floor with stainless appliances in the kitchen and the common area has a nice 55" TV for the family to gather to watch premium channels like HBO and others. This area also has the ability for you to add an HDMI input device like a gaming console. Every room is capable of streaming video from your personal account. The upstairs bedrooms offer cathedral ceiling, huge 50" televisions. The first bedroom has a 32" TV, that includes Tivo. High Speed Internet and over a hundred DVDs, with a Sony Blu-Ray player/streamer on every television for those rainy days. Have a Hybrid? There is an Electric Vehicle J1772 75 amp charger in garage. Parking is one car in a garage, two on the driveway, and/or a lot two blocks away behind the Outback restaurant. Electronic token for Pool. New BBQ is stored in the garage- but can only be used in the driveway. Very close to gate to Breakwater Trail- a perfect trail for jogging or biking. Connects Lewes to Rehoboth Beach. No need to struggle with parking in Rehoboth Beach- a bus comes by every 20 minutes right by the entrance to Rehoboth Crossing that takes you to the boardwalk. Or you can bike to the beach easily via the Breakwater Trail. We're on the Beach side of Highway One!!! 1 mile to the beach. Occasional guests- also have a fold out sofa bed in common room. Rehoboth Charm!! 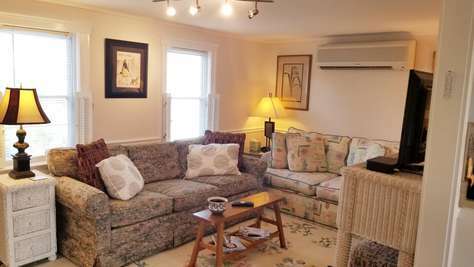 Renovated Beach Cottage NEW Private heated inground POOL!!! 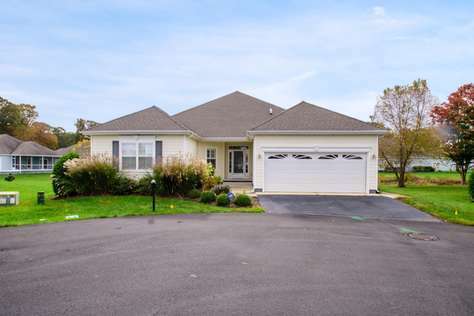 Home is located one street off of Rehoboth Avenue & three & a half blocks to the Beach & Boardwalk. This beautiful cottage has been updated with gorgeous hardwood flooring, exposed beam ceiling, stainless steel appliances, and large front porch w/comfortable seating, fenced in backyard, outside shower. 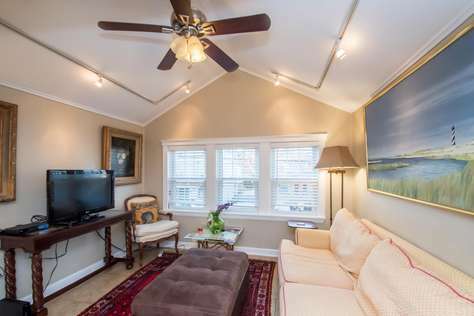 They have done a great job remodeling this home and leaving the rehoboth charm that everyone loves. 3 Bedrooms 2 Bath, driveway for 3+ cars. Pet Friendly! 2 City Parking Passes provided. Garage not accessible. Sleeps 6, 2 Queen, 1 Full. Arrival days: Friday, Saturday or Sunday. A True 5 Star Rental! Spend your vacation in this lovely 3 bedroom 1st floor condo and enjoy all of the comforts of home. Whether you are lounging by the wonderful community pool with hot tub in the afternoon or having your morning coffee and bird watching from the screened in porch, you will want to stay! Beach Beauty,well maintained. 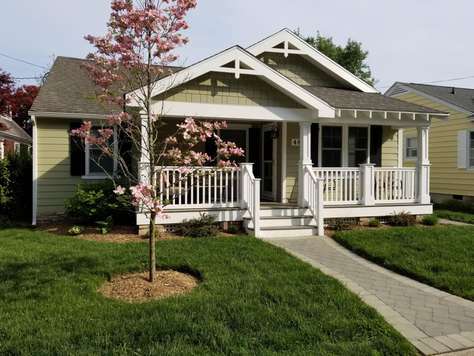 Private gated community, with biking trails, 1 mile to Rehoboth Beach and 2 miles to Henlopen State park. Welcome to The Tides! 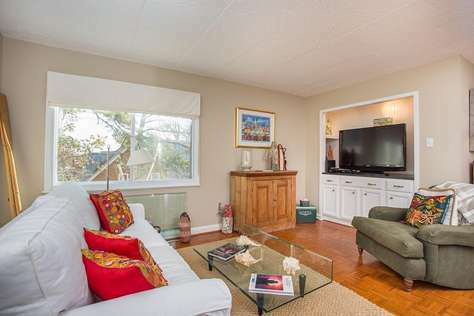 This beautiful, two-bedroom, two-bath condo is perfect for two couples or a small family. 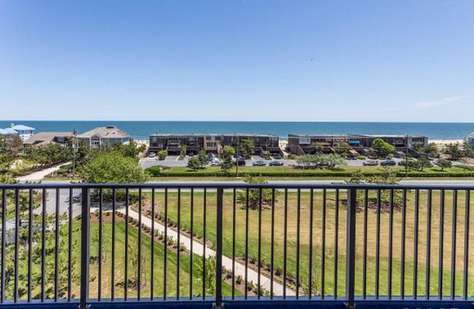 Located in a gated community on the East side of Route 1, the condo is on the third floor of an elevator building. Enjoy the beautiful pool and hot tub on the property or take a short ride to the beach—we even include a Rehoboth beach Parking permit! Four adult bikes and helmets are available to tour the Junction & Breakwater Trail, which is accessible from the property. Inside the condo, prepare a meal in the fully-stocked kitchen with new stainless-steel appliances and relax in the living area with its large-screen TV and DVD player. Enjoy a drink on the screened-in deck, which overlooks the pond and water feature. The master bedroom has a king-sized bed, an ensuite bathroom with stall shower, and TV. The second bedroom includes a queen-sized bed and is just steps from the second full bathroom, which also includes a tub. A twin-sized roll-away bed and a full-size washer and dryer can also be found in the unit. 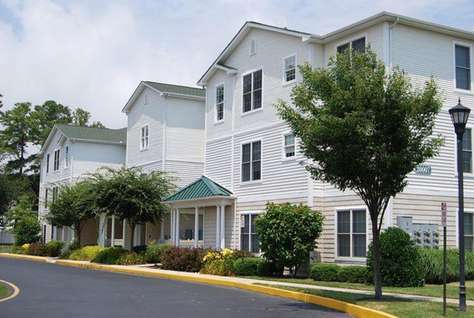 The community is close to the outlets, restaurants, grocery stores, and Jungle Jim’s Water Park. Just across the highway is the DART shuttle bus (Park-n-Ride), which, for a small fee, will take you to the beach, outlets, and other locations (runs every 15 – 20 minutes from early morning until late evening in the summer). For your entertainment in the unit, you will find games, puzzles, DVDs, and books. There are also four chairs to use at the beach. We also supply paper products and basic toiletries. LINENS INCLUDED! Come visit your “home away from home” in Rehoboth Beach! Stay in your own private apartment!!! Right in Beautiful Downtown Rehoboth Beach! One Bedroom Apartment fully furnished and with a full bath, kitchen, and living area at your convenience. Stay in a relaxing, quiet, stress-free setting with a place all to yourself. Perfect for a weekend getaway, vacation, or stress-free business!! Bring your furry friend if you like as well!! Large bedroom with 2 large closest spaces, dresser, and a King size bed. Street parking only (free during Winter Season). Truly a relaxing place with its own charm. 1.5 blocks to the Beach/Boardwalk. 1 block from the main avenue...very close to all restaurants and shops. No need to move your car. Essentials included: wifi, cable, towels, sheets, soap/shampoo, and anything else you feel you may need during your stay. We are here to help in any way we can. No dishwasher; No washer or dryer. Space is above a store that does control the central air. There are A/C units and space heater units available if you need additional hot or cold air in the rooms. ON-SITE PARKING UNAVAILABLE. Parking is on-street (free during Winter/Spring season). Space can fit up to 2 people comfortably. NO Check-In or Check-Out on Saturdays. No smoking. No parties or large gatherings. Pet Policy: Small pets preferred. Maximum 2 pets. No pets larger than 75lbs preferred due to small space. Policy: You must let us know if you are bringing pets so the property is properly furnished. Parking is on the street (free during winter months; metered during the summer). Some parking areas may require parking permit (again only during summer months). For Summer Guests: 1 Parking Permit Pass provided. Space is above a store that does control the central air. There are Window A/C units and Space heater units Available. Apartment does not have Dishwasher or Washer/Dryer units. We welcome young children with their family. We, however, recommend bringing any pack-n-plays or cribs. There are two (2) hoses located on each side of the building in the front of the property if needed to rinse dirt or sand off of feet. No Bicycles inside the property. All bikes must be left outside and locked. Perfect for couples or small family! Plenty of things to do!!!! Right in Beautiful Downtown Rehoboth Beach! Our Two Bedroom Apartment comes fully furnished and with a full bath, kitchen, and living area at your convenience. Stay in a relaxing, quiet, stress-free setting with a place all to yourself. Two bedrooms features 1 Queen Bed & 1 Full/Double Bed. These bedrooms are on the smaller side but they both have closet space to store bags and hang clothes as well as dressers to store your clothes. The Bedroom with the Full Bed also has extra shelves built into the wall and we have offered a T.V. with a ROKU streaming device for when you want to relax in bed all day. Living room features 2 cozy couches for lounging and relaxing if you wish to stay in. The apartment also features a "tuck-away" fold-up dining table with 4 chairs. Roll and move the table anywhere you desire in the apartment and set it up for a perfect dining table. Full bathroom has a stand-in shower only and is on the smaller side. Truly a relaxing place with its own charm. Space can fit up to 4 people comfortably. No Pets. No Smoking. No Large Gatherings. This unit does have low ceilings. Guests that are 6 Feet or Taller may have some trouble or issues with standing. The Bathroom is also on the smaller side with space and has only a stand-in shower. OFF STREET PARKING ONLY - (free during winter months; metered during the summer). Some parking areas may require parking permit (again only during summer months). For Summer Guests: 1 Parking Permit Pass provided. A 2nd Parking Permit Pass may be available upon request if a 2nd car is brought for your stay. Please make sure you return parking permit to the Rental Department. Space is above a store that is open during various hours during the winter and summer months. No bicycles in the property. Must be locked and kept outside. Sawgrass South is a gated community with great amenities. Within this resort-like atmosphere it has a clubhouse, 2 community pools, public grills, tennis and basketball courts. The clubhouse has weekly planned activities. Located just minutes from Rehoboth Bay, Rehoboth and Lewes beaches and Tanger Outlets, where you can enjoy tax-free shopping! 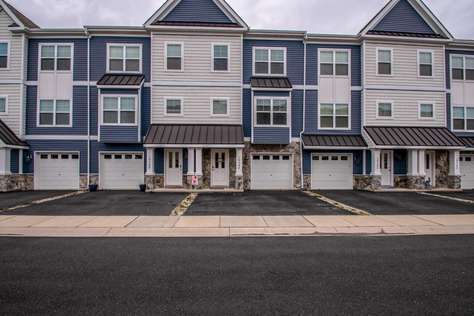 This 3 bedroom 2.5 bath plus loft townhouse was just built in 2019. Enjoy the open layout with a sunroom and first floor master. Upstairs you will find 2 more bedrooms and a loft area. There is enough parking for 3 cars. Also included with your rental is a Rehoboth Beach Parking Pass! You can rent this home for a long weekend or a full week! This townhouse comfortably sleeps 8 adults. 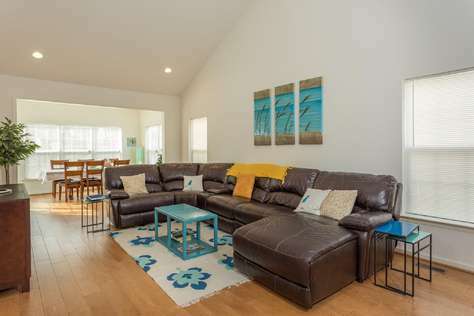 Pet Friendly Rehoboth Crossing townhouse just 1 mile to the Rehoboth Beach and boardwalk! Every bedroom has it own TV and a large full bathroom for privacy. There is a bedroom on the first floor with a walkout to the Patio. The living area is located on the second floor with stainless appliances in the kitchen. Enjoy the screened in porch on those cool summer nights. The master suite is located on the 3rd floor which has a beautiful balcony and lounge chairs. There is enough parking for 3 cars (1 in the garage and 2 in the driveway). There is an overflow parking lot behind Outback Steakhouse. This rental includes a gas grill. Grilling is only allowed in the driveway. 4 beach chairs are included, please be careful with these items since the next renters will be using them as well. Arrival Day: Saturday. 3 night minimums are allowed if the full week is not booked.